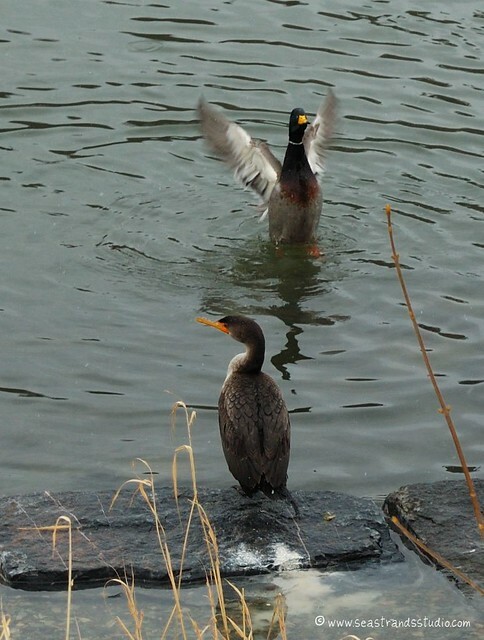 The Bowring Park (link takes you to a pdf map and index of the park) duck pond, which has a fluctuating population of hundreds of mallard, black, pintail, and hybrid ducks, along with a few swans and half a New York city-block’s-worth of pigeons, currently also has a cormorant. They don’t usually hang out in town, being more common along the coast in these parts. He (or she) seemed most nonchalant, especially given that I approached with a dog on a leash. I was able to get quite close for these shots, which is good because I haven’t much zoom on this lens. 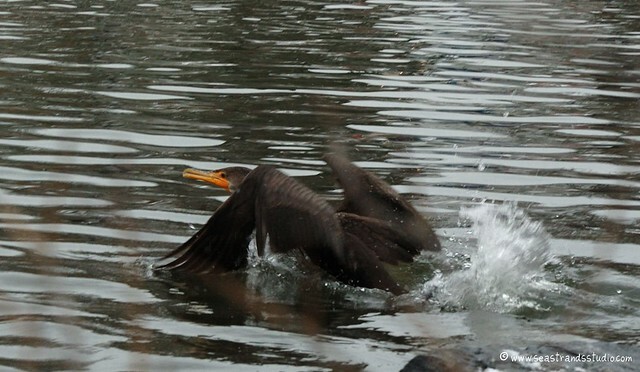 Wildlife photography of any real sort will have to wait until I can afford additional equipment, I fear. 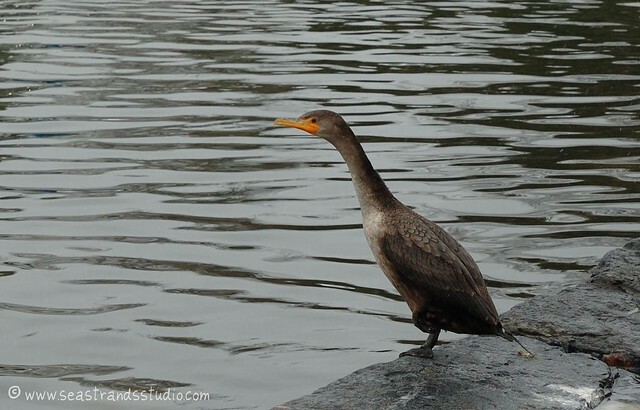 I think it’s an immature Double-Crested Cormorant, but I could be wrong. It didn’t stick around long once Rowan (The Dog Who Bounces) barked a big woof. While more telephoto zoom would indeed be nice, I’m currently more interested in a wide-angle zoom. This 11-16mm Tokina, to be precise. Ah well, a girl can dream…. Previous Post Woke up, it was a Chelsea morning….